ICE-GB is a 1 million-word corpus of contemporary British English. It is fully parsed, and contains over 83,000 syntactic trees. Together with the dedicated retrieval software, ICECUP, ICE-GB is an unprecedented resource for the study of English syntax.Exploring Natural Language is a comprehensive guide to both corpus and software. It contains a full reference for ICE-GB. The chapters on ICECUP provide complete instructions on the use of the many features of the software, including concordancing, lexical and grammatical searches, sociolinguistic queries, random sampling, and searching for syntactic structures using ICECUP's Fuzzy Tree Fragment models. Special attention is given to the principles of experimental design in a parsed corpus. 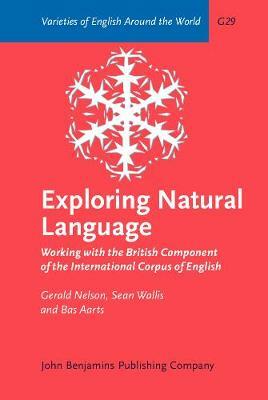 Six case studies provide step-by-step illustrations of how the corpus and software can be used to explore real linguistic issues, from simple lexical studies to more complex syntactic topics, such as noun phrase structure, verb transitivity, and voice.